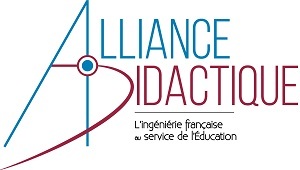 Created in 2015, Alliance Didactic is an association that brings together a large part of French companies which develop and manufacture didactic equipment in STEM or TVET* specialities for technical universities/ high schools and vocational training centers, all of that in a constant search of excellence, in collaboration with the education actors. DIDALAB IS NOW ISO9001 CERTIFIED. Didalab passed the ISO9001/2015 certification. DIDALAB is a member of WORLDDIDAC. Didalab won an Award 2018 for Electrical engineering Power supply, 300 W, SELV, ref EMS300B. This Award has been awarded by WORLDDIDAC, the global trade association for the educational resources industry.